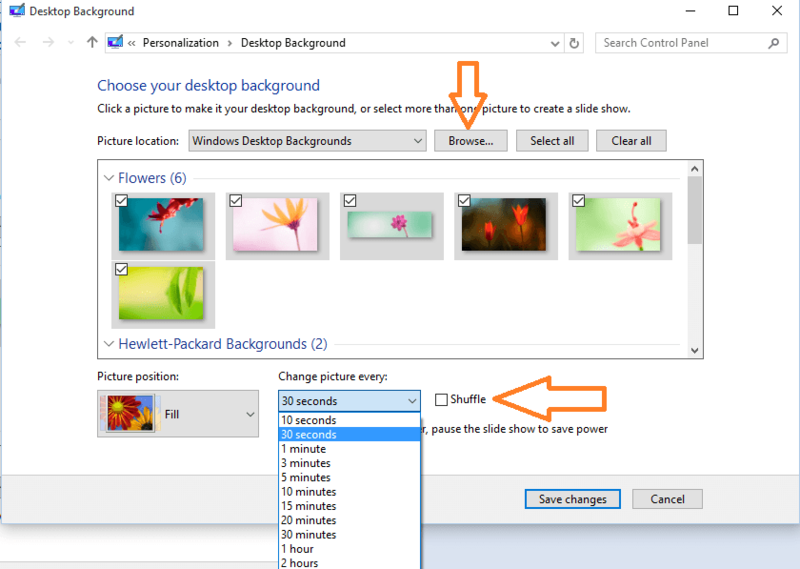 Windows 10 desktop background has setting that you can use to automatically change desktop backgrounds every n minutes or seconds. Now, you no longer keep changing desktop background wallpaper every time you get bored. Just follow the steps given below to bring back shuffle feature in windows 10. Step 2 – Now, copy and paste the command given below in the run box and hit enter. A new window will appear in which you can do a lot of customization regarding wallpapers. Now, check the shuffle option to turn shuffle on in windows 10. You can check and uncheck the default desktop wallpapers provided by microsoft. You can browse and select a particular picture folder on your PC to fetch all images here and set them as changing desktop backgrounds. You can change the time after which picture changes. You can set the interval to as low as 10 seconds. Microsoft official theme repository have some cool wallpapers. You can browse and download thousand of themes from the site. In screen folder lock screen wallpapers are located. In Background folder the wallpapers for changing backgrounds are kept. Now, download and save wallpapers downloaded to Background folder. 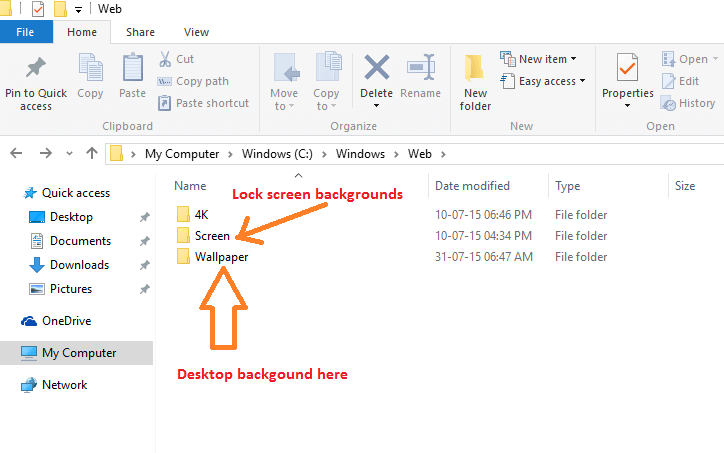 If you have intentions to change the lock screen, just put that in lock folder. 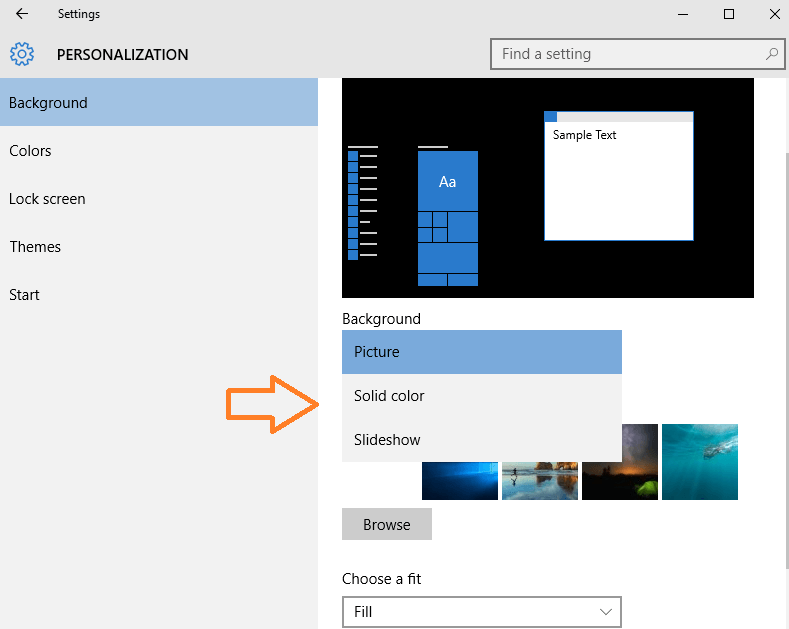 Note – You can also customize the background preferences by following steps below. You can choose Picture or solid color as a desktop background here. You can choose your picture as fill, stretch , centre or tiles here by choosing the option via the dropdown box.